iOS and Andriod developers have been hard at work creating apps so that you can get the most out of Zotero on your mobile devices! Zotero Quick Start Guide: The A, B, C's of "Z"
Zotero is a production of the Roy Rosenzweig Center for History and New Media at George Mason University and is funded by the United States Institute of Museum and Library Services, the Andrew W. Mellon Foundation, and the Alfred P. Sloan Foundation. Translators - Interpret meta-data from websites, databases, videos, images, etc. Styles - Choose from over 20 standard citation styles and add more if necessary. Storage - Zotero lives in your browser using your Firefox profile; you are automatically given 300MB of free storage! Once you get Zotero installed on your Firefox browser, look for the Zotero icon on the upper right side of the browser. 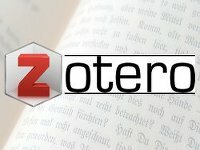 What does "Zotero" mean, anyway? 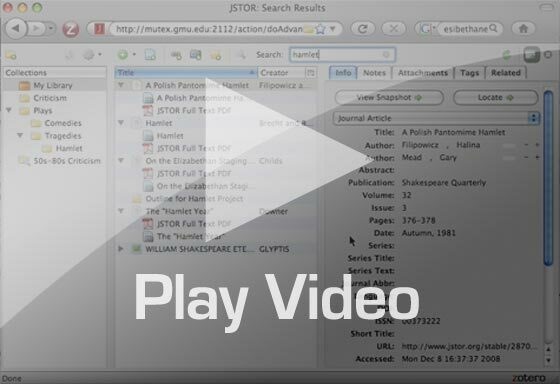 'Zotero' is based on the Albanian word "zotëroj," which means “to acquire, to master,” in terms of learning. This Zotero LibGuide by Marie Sciangula is licensed under a Creative Commons Attribution-NonCommercial 3.0 United States License.